The public voting has begun. Take look at the 400+ submissions and vote for the house designs you like best. No house in the competition is larger than 1,800 square feet (not tiny) but I didn’t see any other entries that include the designs for 4 individual tiny houses. 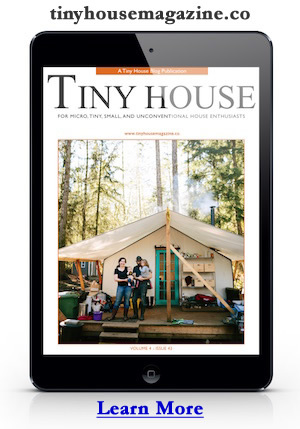 Cast you vote for the Tiny House Cluster here. 4 Tiny Houses in 1 Set of Plans – My submission is essentially 4 tiny houses arranged around a central courtyard. If my plan wins the competition FreeGreen.com will develop the design into a complete set of plans. The public voting is just the first step but it will get us closer to having FreeGreen.com help develop this concept. Thanks for voting! This entry was posted in Announcement and tagged cluster, competition, freegreen, whosnext. That’s why I connected the bedroom to the main living area. You could go a step farther by connecting the other units, enclosing the covered areas, or moving the units closer together. I thought I would repost my comment on the “Tiny House Cluster” here. You put much thought into how a retired couple would live and thrive in this home and certainly deserves my vote!!! It’s a nice design. But you lost the idea behind the tiny house movement. Isn’t it not about reducing the waste and saving on building materials and energy conservation? How do you provide the hot water for all your bathrooms? Will each tiny house getting a own hot water source? If you will have only a central source for hot water, you will have a huge loss on energy only through the transport to all of the bathrooms. The next problem are your walls and roofs. Each room is enclosed by highly insulated (i hope so) exterior walls and roofs. That means each single room is completely surrounded by very cold air in the wintertime and hot air in the summertime. A tiny house are a very good idea by itself, but it isn’t working when you put more than one together to build a single family home. 1. Win a competition where the winning design is turned into plans by freegreen.com. This design translates into one set of plans with 4 tiny houses in it, which seems ideal for anyone considering a smaller home. 2. Provide a extremely flexible space that could provide a variety of different uses under different conditions. The competition provides a couple scenarios along these lines like… an older couple seeing a future need for a live in health aid. But I’m also imagining kids coming home to live due to hard times (layoff, foreclosure, etc). This kind of tiny house cluster approach also allows the residents to choose which spaces to heat if energy becomes expensive or unavailable. I hope that makes more sense why I decided to go the cluster of homes route instead of designing one big box. Hey that was my idea.